We are all about putting inspirational messages in our quilts. 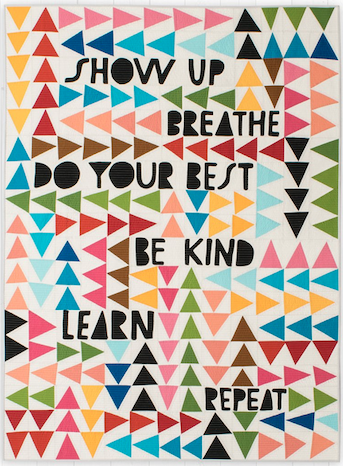 That’s why we are crazy about this quilt pattern by artist Lisa Congdon. You will learn invaluable techniques as you paper piece triangles and use fusible applique to sew motivation into this quilt.